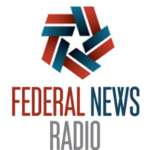 Federal News Radio reports that the Homeland Security Department is canceling the $1.5 billion contract vehicle for agile development services known as Flexible Agile Support for the Homeland (FLASH). The multiple award vehicle had been in the works for over a year, with the intention of giving department components access to innovative methods and industry best practices to acquire agile services, but struggled when multiple award attempts were met with protests from unsuccessful bidders. It’s unclear what comes next for FLASH—whether DHS will try again with a new procurement or give up entirely on a separate contract vehicle for agile services and rely on an existing one like EAGLE II.